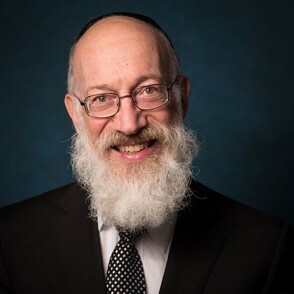 Rabbi Mordechai Willig is Yeshiva University’s Rabbi Dr. Sol Roth Professor of Talmud and Contemporary Halachah. He has been a rosh yeshiva at the Yeshiva Program/Mazer School of Talmudic Studies since 1973 and a rosh kollel at the Rabbi Isaac Elchanan Theological Seminary. Rabbi Willig has served as spiritual leader of the Young Israel of Riverdale in the Bronx, N.Y., since 1974. He is the author of Am Mordechai, which came out in two volumes (1992 on brachot and 2005 on Shabbat), and has authored many articles in Torah scholarship journals. Rabbi Willig is the deputy av beis din of the Beth Din of America. He has been an outspoken advocate of the halachic prenuptual agreement as a preventative measure against the creation of agunot. Rabbi Willig received a BA in mathematics from Yeshiva College in 1968 and an MS in Jewish history in 1971 from the Bernard Revel Graduate School of Jewish Studies. He received semikha (rabbinic ordination) that same year at RIETS. Should Women Light Chanukah Candles?